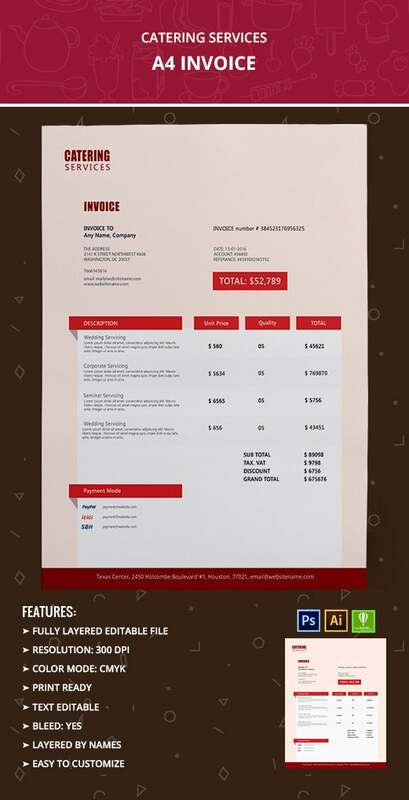 Create your catering company’s own personalized A4 size Invoice Templates with the help of our sample templates that are specially designed for catering services. Our designs are amazing as well as unique that will add exclusiveness to your invoice. 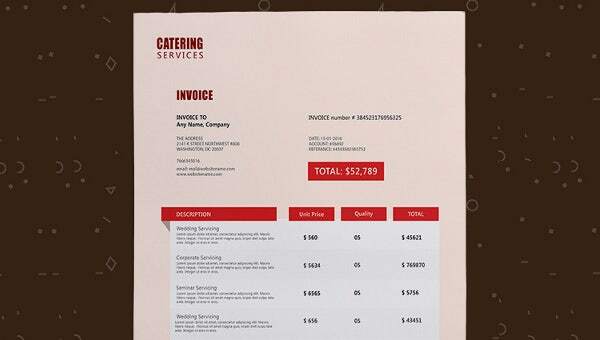 These designs will also give you a fair idea as to how your invoice will look like. You can easily download our sample templates that are specially designed for you to customise it in your own way. These fully layered editable files are easy to customise and are print ready.